While reading the recent question 'Do exercise machines on the ISS generate electric energy? ', I got thinking all of the exerciser machines generate heat (heat energy). So yes all exercise machine generate energy for the ISS. But is that energy a positive attribute or a negative attribute to the homeostasis? 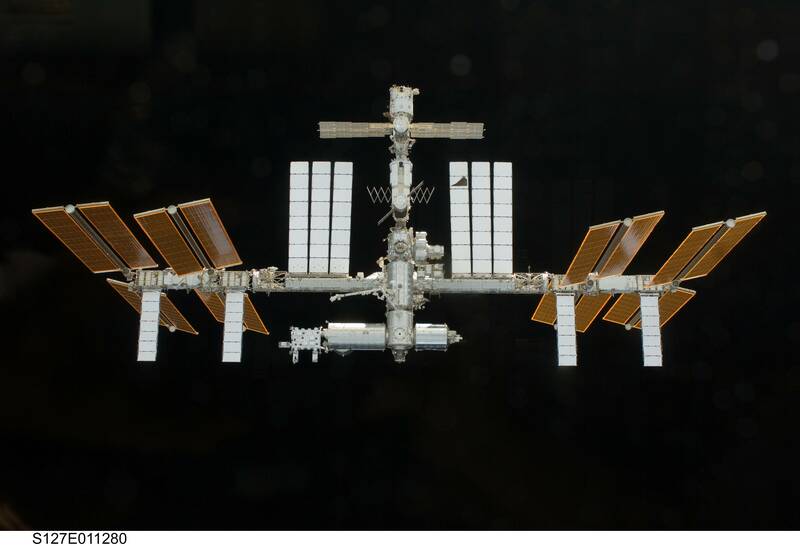 We have an exceptional answer on 'Air temperature and humidity inside the ISS' about how many different air control systems there are on the ISS and how they all work. It is very complex, and it seems that as there is no central control they are probably working at cross purposes on occasion (heating vs cooling). Obviously being in orbit around the earth the ISS will alternately be exposed to the sun, or in the shadow of the earth. I would assume that heating and cooling requirements fluctuate during the 92 minute orbit. Does the ISS require a net heat input, or does it need to shed more heat than it makes? If it needs to shed heat (cool) is there any attempt to limit heating producing activities to the period when the ISS is in earths shadow? Those panels are part of the External Thermal Control System (ETCS), if I'm not mistaken, which deals with heat loads generated by equipment inside the station. You also see radiators below each set of solar panels. Those are part of the Photo Voltaic Thermal Control System (PVTCS), which is a separate system. Ammonia runs through the panels on the ETCS, taking in heat from various equipment and heat collectors on the station, and transporting the heat to the panels, which then lose heat via radiation. In space, no one can hear you cry? Nor can they see you sweat. The equipment onboard the station has serious design constraints on cooling. As you can imagine, without gravity to let hotter air (which is lighter) float higher, and cooler air to settle, internal heat control is hard. Thus they do a lot of work with fans, and heat sink systems. Getting rid of the heat is the hard part, and as you can see from the size of the various radiator systems it takes a lot of work. It is worth noting that the solar panels on Zarya (FGB Control Block) module on the Russian segment had to be folded up to allow room for the ETCS radiators to extend. That is a fairly large power loss for the Russian segment, almost half their power generation. I have wondered, if they considered moving those panels to say the Nauka or Rassvet module later. (Of course they may not be designed for that, who knows). Thermal cycling is a problem as well, since the temperature swings a lot, every 90 minutes or so in orbit. Materials issues are a concern from all the expanding/contracting. The radiators do not help much with that, since they focus on moving heat internal to the station out of the station. Our distance from the sun causes all local bodies to be at a temperature that is below freezing. The Earth would be frozen if it weren’t for the greenhouse effect of water vapor trapping solar radiation. E. g. the moon’s average temperature at its equator is below freezing because of no greenhouse gas. The ISS has the problem of having to get rid of heat because of internal electrical loads that produce heat in a well insulated and confined space. Also required are fans to distribute the air since there is no convection possible in zero gravity. Not the answer you're looking for? Browse other questions tagged iss energy power life-support environment or ask your own question. Could steam be used as a efficient power source for a space craft? Do exercise machines on the ISS generate electric energy? Does it get cold in a container in space? Will the ISS need more docking ports? Why does the ISS need thermal blankets if the Sun is hot? How close is the ISS to a closed system, in terms of carbon, hydrogen, and oxygen? How does the sabatier system reduce water shipments to the ISS? What kind of lighting does the ISS use? Does ISS get a surplus of oxygen or water? Does the ISS still “need” to be at around 400 km? How does electrical safety system work on ISS?